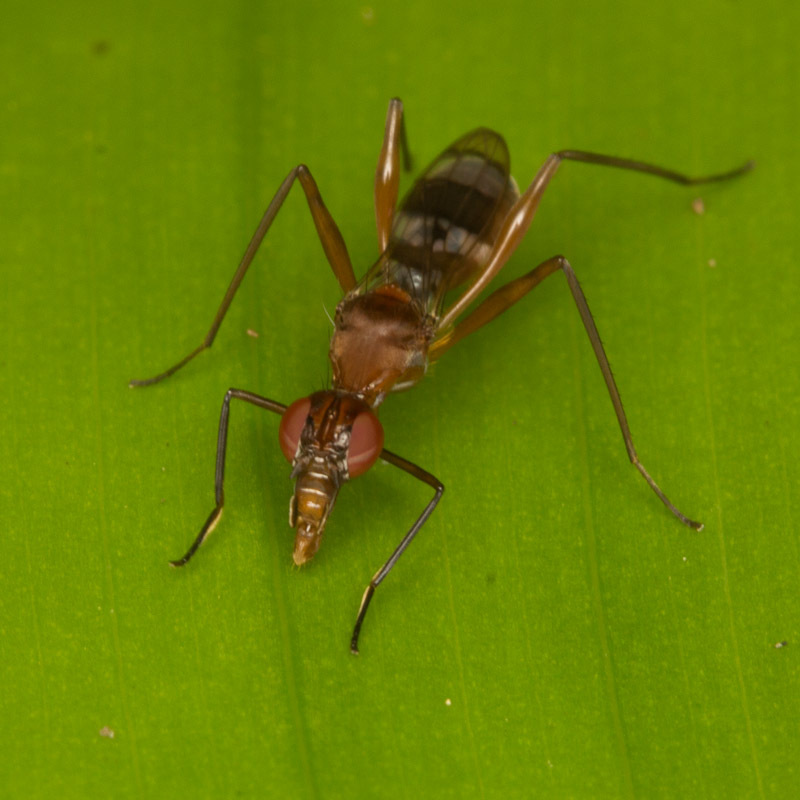 While recently reviewing my shots of this fly in the family Micropezidae, I was surprised to find that I unknowingly got a shot of her laying an egg. Here’s another shot for comparison, where she has concealed her ovipositor beneath her abdomen. 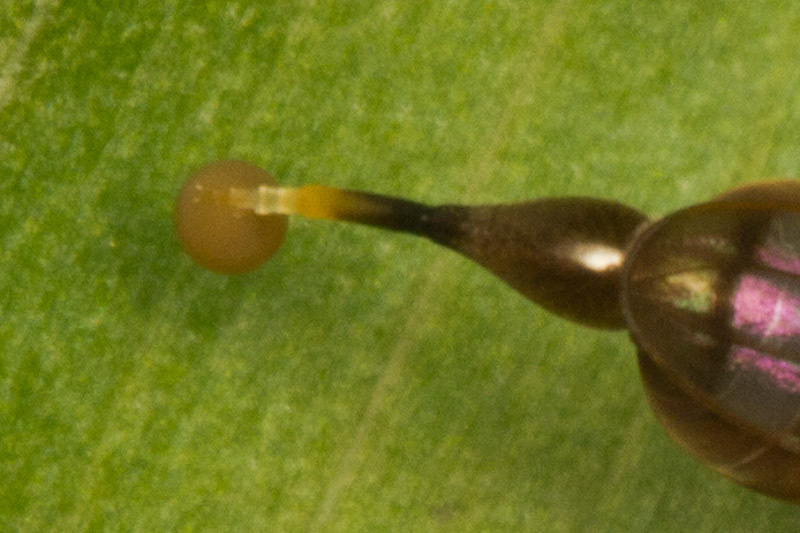 Here’s a crop from the first photo, showing the ovipositor and the egg. Everything I’ve read indicates that most larvae develop in decomposing matter, so it seems strange she would be placing an egg on a leaf surface. Perhaps this is just a method of random distribution, and the egg just falls where it may on the ground below. I saw lots of micropezids, also called stilt-legged flies, during my stay. 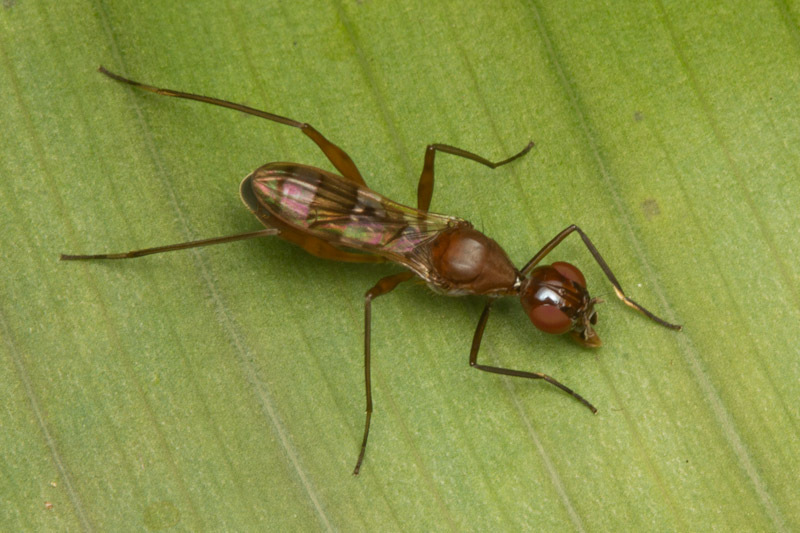 They are fairly easy to recognize with their long legs and curious behavior. I usually see them on leaf surfaces like this, walking around and waving their forelegs in front of them like antennae. 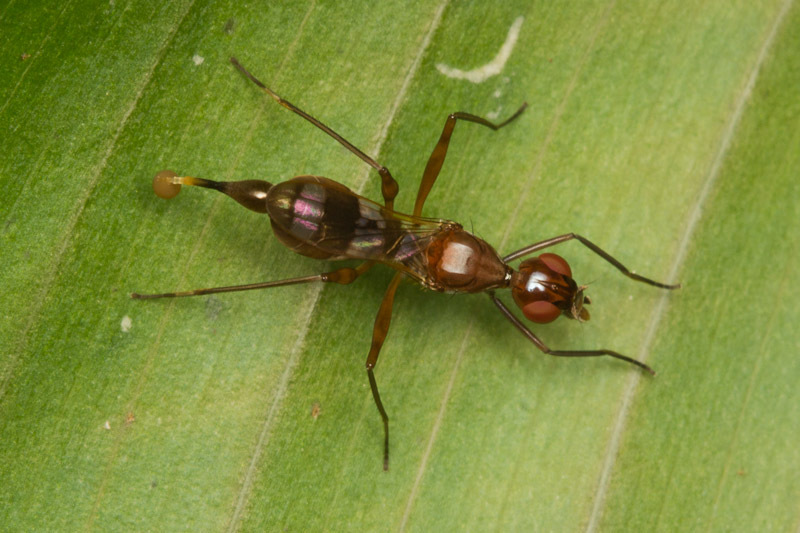 This behavior combined with their overall form gives them the appearance of an ant or a wasp perhaps. Great shots here Troy! This female is in the genus Plocoscelus, and rather than laying an egg is actually relieving herself! Great photo though, as you’ve managed to capture the cerci being everted (they are usually tucked up inside the ovipositor and out of sight)! Doh! It never even occurred to me that she might be relieving herself. That droplet just looked so much like an egg! Thanks for setting the record straight.